A family history beginning with John William Winker (1890-1956) and Martha Magdalen Feuerstein (1891-1980). They married in 1915 and raised thirteen children on their farm in Kingsbury County, South Dakota. 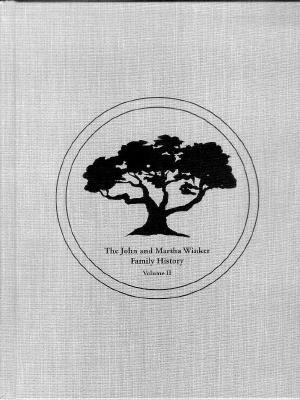 Includes data and photos on four generations of the Winker family, memories of growing up on the farm, and short biographies of many family members. This book may be ordered from Bridget (Winker) Hoveland. The price is $30.00 US, plus shipping. A few copies of Volume I, Winker - Spaichengen, are still available. It contains a bit more ancestry information than Volume II.